> SCULPTURE>LOW RELIEF AND SCULPTURES>Figure of a naked boy sitting. Figure of a naked boy sitting. 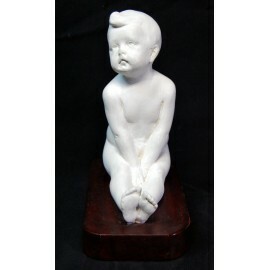 Figure of naked boy sitting, plaster sculpture of the beginning of the twentieth century, rectangular wooden base. MEASURES: 18 x 14 x 8 cm.